We were down in East Sussex for the Bank Holiday weekend and, once the rain had stopped and we’d swilled out our tent, the weather was glorious and the countryside lush. If I was a cow in Sussex I’d be pretty happy with my lot. Endless green meadows full of buttercups and clover would fill the belly of the fussiest Friesian. So it seemed only right to hunt out some local cheese. And as we drove though ancient country lanes, their banks spilling wildflowers onto the road, it seemed that there was an oast house round every corner. 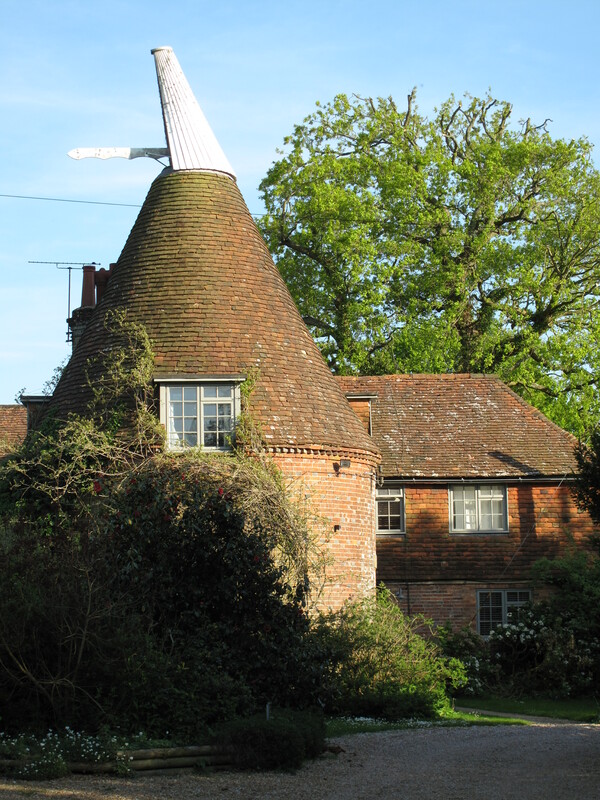 Oast houses were built to dry hops as part of the brewing process. The area where we were staying had been part of the Guinness estate and so the distinctive conical towers were everywhere. Now that the drying process has become industrialized, the oast houses have all been converted into dwellings to charm townies like me into moving to the countryside (right after I win the Lottery). But the sight of all these oast houses got me thinking about beer. And then drinking beer. And then thinking about cheese and beer. Surely there must be a winning cheese-beer combination, I began to think. 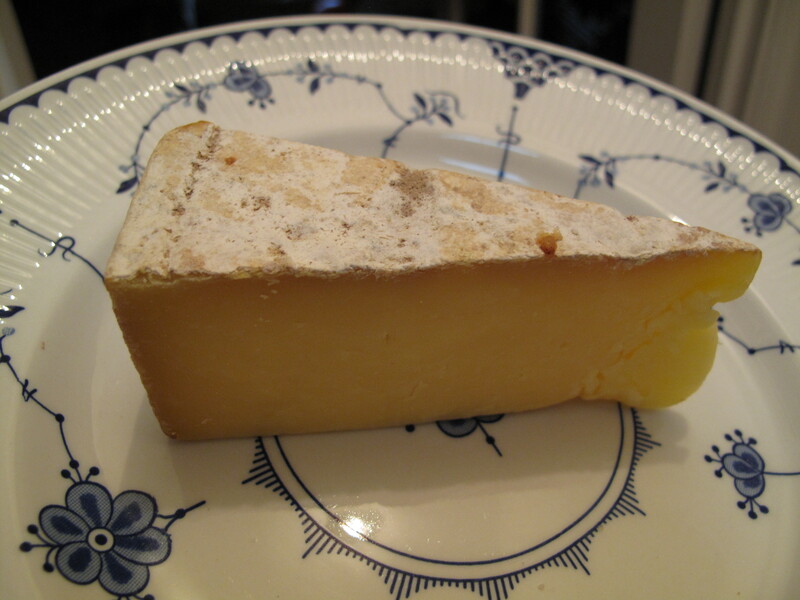 Cheese and beer made me think of ploughman’s lunches and so here is the recipe for Olde Sussex Cheese and Beer Bread. I wanted to use a beer from The Long Man Brewery which I had supped in a pub beer garden at sunset (that sounds idyllic, I realise, but doesn’t factor in trying to stop three small boys from whacking each other with sticks). Unfortunately, however, I could only find it on draught and was not convinced of my ability to transport a pint back to London or that a Buzz Lightyear beaker was an appropriate method of transportation. So I confess to using a Kentish brew. I realise that I have probably violated county lines and will never be allowed back into either county again but, hey, talk to my local Budgens. Preheat your oven to 190˚C / 170˚C fan-assisted / Gas Mark 5. 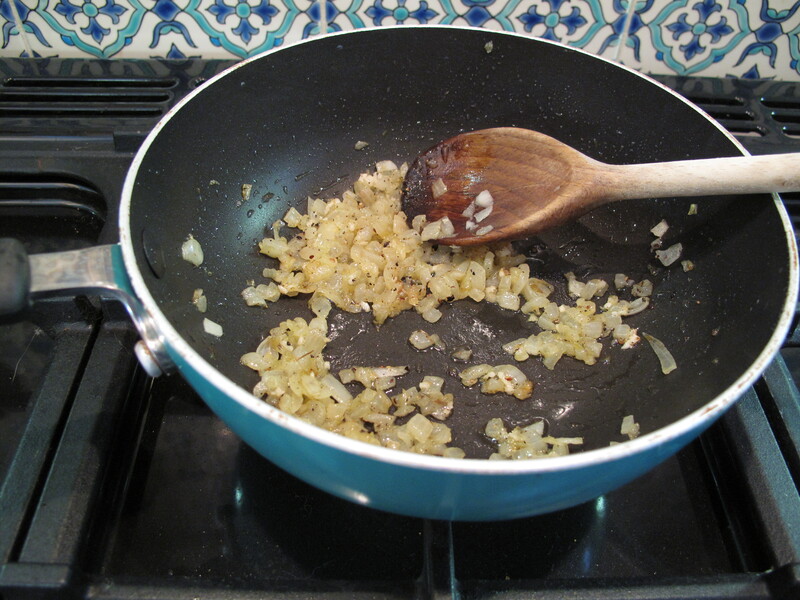 Heat the olive oil and fry the onion until browned. Stir in the black pepper and garlic and cook for a further minute. 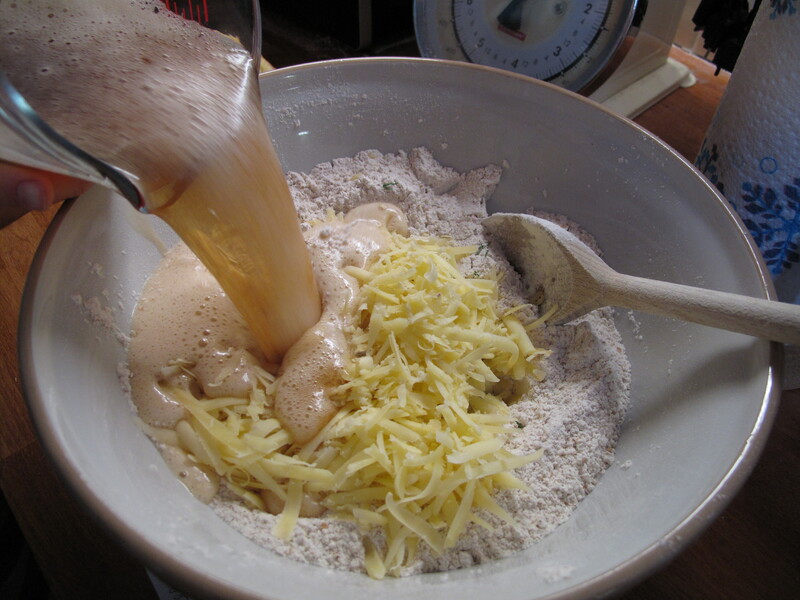 Combine the flours, sugar, baking powder and salt in a large bowl and make a well in the centre of the mixture. Add the onion mixture, cheese, dill and beer and combine. Spoon the mixture into an oiled loaf pan. Drizzle 1 tablespoon of butter over the top. Bake for 35 minutes. Drizzle the rest of the butter over the top and bake for a further 25 minutes or until a knife inserted into the centre comes out clean. Cool on a wire rack. 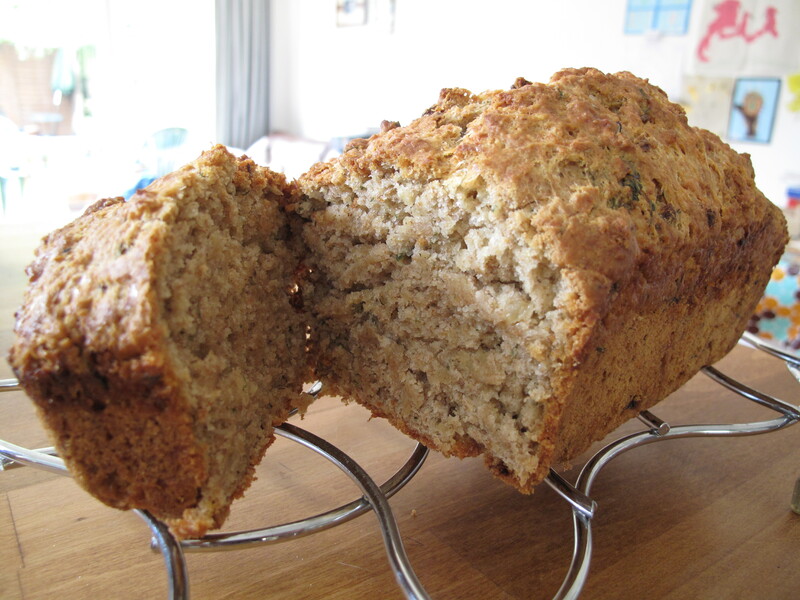 You could use any number of beer/cheese/herb combinations for this bread. Let me know if you come up with any interesting regional combinations. 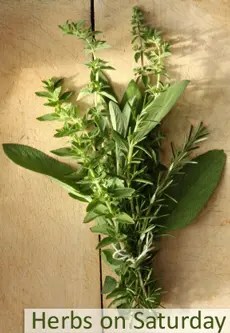 I used fresh dill and so am adding this to Karen at Lavender and Lovage’s Herbs on Saturday linkup – this month hosted by Anneli of Delicieux. Thank you 🙂 I love the challenge. And cheese and herbs are so often a perfect combination. Thanks! 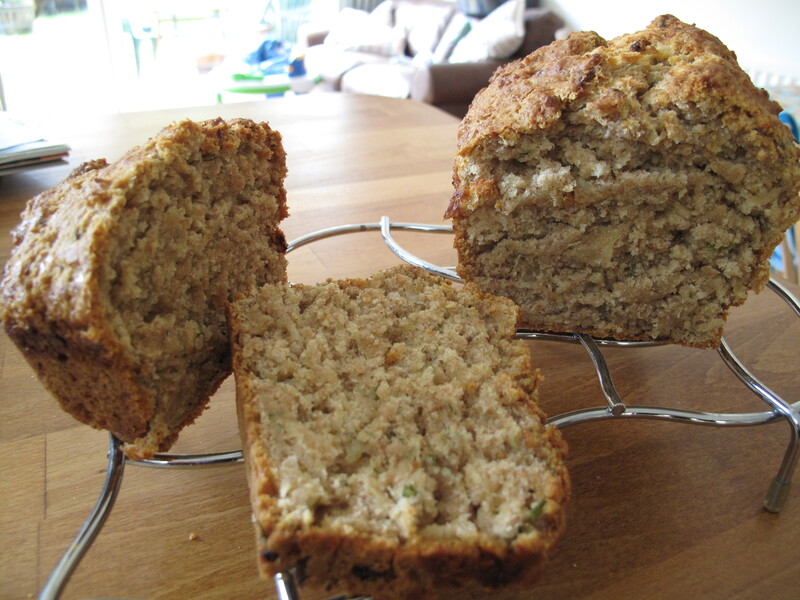 Yes, it’s nice to make a tasty bread without having to mess about with yeast and proving etc. And the rest of the dill is going with some salmon tonight yum.